Eklavya will be India’s official entry for the prestigious Oscar awards. The decision to nominate Eklavya as the Indian entry for the awards was announced by Film Federation of India President Vinod Pande. The other films where were considered for official entry are hugely-popular Chak De India, Gandhi My Father and Guru. This is the third time that a film by Vidhu Vinod Chopra will be going to the Academy of Motion Picture Arts and Sciences. His short non-fiction film “An Encounter with Faces” was one of the first Indian films to be nominated for an Oscar in 1980. In 1989, “Parinda” was sent to the Oscars as India’s official entry. Pahlaj Nihalani, President of Association of Motion Pictures and TV Programmes that selects the entry, is very upset with the decision and have used the strong word “disgraceful”, “shameful”, “blatant misuse of power” for this decision. His argument is that a film rejected by Indian masses can not have the privilege of “Official entry for Oscar awards”. Yes, it is true that Vidhu Vinod Chopra’s Eklavya has been selected as India’s official entry to the Oscars. 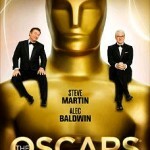 It is disgraceful that the jury has selected a movie for the Oscars, which has been rejected by the people. I don’t see any logic behind selecting this movie when there were other deserving movies like Chak De India. If this is the taste of the jury, then it is better they leave the industry. Eklavya does not deserves an Oscar entry. This is a clear case of partiality. The selection has been done under the influence of certain people, which is shameful. The way Indian films are becoming globally recognised, wrong decisions like this will only spoil our hard-earned goodwill. This is blatant misuse of power. I am not a big fan of Shahrukh Khan, but I liked the movie “Chak De India” very much. I think, “Chak De India” should have been the official entry for the Oscar awards. Anyways, I don’t have any complaint because in recent time, apart from Lagaan, my opinion has never matched with any of the official entry for Oscar. Paheli, RDB, Shwaas(don’t get surprise, this was our official entry for the year 2004) was just a joke as these movie don’t reflect the true picture of our Bollywood movies. If you would like to know my opinion on Eklavya then I would call the movie as “Eklavya – The Royal Bore” instead of “Eklavya – The Royal Guard”. Tony Blair in Bollywood Movie "Global Cool"
Who the hell is Pahlaj Nihalani to comment on a film like Eklavya? A B-Grade producer commenting on a masterpiece made by a perfectionist craftman who knows his craft inside out. People like Nihalani -http://www.imdb.com/name/nm0631548/ don’t even know how to clean their backside every morning. And guys like you go out and proudly quote him on youe blog! 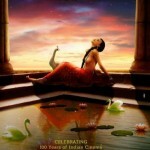 Eklavya my dear friend is a class act, now watch it again and support India to the Oscars! Well, the thing is that the masses can be fickle too, can’t they? You can’t very well nominate movies like Dilwale Duhania Le Jaye Gaye, or Kuch kuch hota hai as Oscar entries. They were massive commercial hits, but not necessarily the right type of movies. Oscar award for the best foreign movie category. I am an American filmmaker that saw Eklavya, The Royal Guard at the UCLA screening at the Billy Wilder Theater in Los Angeles. I must tell you that the audience was spellbound, they watched in complete silent amazement. When the film finished there was a long standing ovation. The theater was packed and no one left till after Mr. Chopra answered questions from the audience. One man, a member of the Oscar academy spoke in awe of the film and that Americans should have the opportunity to see this level of quality coming out of India. He asked if it would be the official entry and Mr. Chopra responded that the system for selection in India is somewhat unpredictable and he doubted Eklavya’s chances. For some reason this film resonates with American audiences, The scene with the dove and the bell, the train and camel sequence, the movie screening sequence when the power is shut off and the screen goes black for minutes at a time as Eklavya in total darkness performs his royal duty. As the British say we were all gob smacked! So when I see some Indian people say that they didn’t like the film I’m puzzled. I honestly have not seen all the other films that were considered, but if India is hoping to finally bring a statue back home this is a terrific choice. Albert: If you are so mesmerized by “Eklavya”, then you should definitely watch “Dharam” and you will be speechless. We have so many films made each year, so it’s very difficult for us to choose a particular film for Oscar. But we will definitely like to send films which represent our country. So I think “Dharam” is the only film for Oscar. Suraj: I truly respect your conviction towards “Dharam”, but in the last few days I have looked and it’s not available in the US at all. Not even in the Indian DVD shops or Amazon.com. Even if you are right this whole battle over the selection should have be vetted before the selection announcement and now that the selection chairman has gone public with his announcement of how the Motion Picture Academy has sent a letter with disparaging comments to the committee, it is making India into a laughing stock in the US. For heaven sakes if the Academy sent such a letter its nothing to brag to the media about and certainly doesn’t endear the Academy to India’s selection process, who is this Vinod Pande? Why is he sitting side by side with Bhavna Talwar? In addition, there are many factors that perhaps Indian film fans aren’t aware of about the academy. Box office success doesn’t play a factor in this foreign film category. (Citizen Kane and 2001: A Space Odyssey were box office flops when they were released and are now considered top 10 classics.) Secondly, American audiences will not tolerate entries over 100 minutes (Lagann lost for this and the musical sequences, I loved that film) and most importantly since academy members that are eligible to vote in the foreign language category must see all the entries in a accredited screening with the price water house auditors there, they tend to be the older/retired members that seem to be reacting very favorably to Eklavya with it’s gifted yet aging protagonist. But finally, the academy rarely honors new directors in this and many other categories. There is a history of honoring filmmakers that have paid their dues. Just look how long Steven Spielberg had to wait for an Oscar. At lease Vinod Chopra has paid his dues, he has been nominated before and he has been the official entry from India before for “Parinda”. So India can send “Dharam” if it wishes but it would arrive DOA with none of the above attributes regardless of how speechless it might make me, I’m not a voting member of the academy only an American that appreciates “Indian Cinema” and one that will certainly seek out “Dharam” for my own education. I’m now only hoping that India has not shot itself in the foot with a silly and avoidable scandal that will end in no submission at all. Good luck to Eklavya. Not my favourite of the past year but good nevertheless. Was Dor even considered? That would have been my pick. Omkara and Metro were brilliant as well. Top class indeed! I guess with the above criteria as stated by Albert, the directors of theses would have been deemed as too “new”. Your wish of good luck may extend further than you might imagine. Because of the publicity, Eklavya is now on everyone’s radar in Hollywood. Pahlaj Nihalani and director Bhavna Talwar have accidentally broadened Mr. Chopra’s standing and brought embarssement to India in general. In the long run it may help improve the selection process in India which now is mandated for reform. But Ms. Talwar will need to move quickly from her image of sour grapes and sore loser to a more Indian patriotic stand for Eklavya and the chances for India’s recognition. Others that have condemned the film may find themselves eating their words and apologies may be expected, at least by American standards. 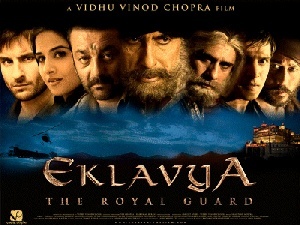 With the rejection of Ang Lee’s Lust/Caution and several other highly regarded entries, Eklavya is rising in the polls. I’m not critizing her movie only her actions. I and others can’t wait to see her film after all this hype and of course that will benifit her as well. I slept through the entire movie. Cured my insomnia! Glod bless Viddo Vinood Chopra.